Araignia by Canadian artist Alison Clarke as a 5.75 square card. All cards come packaged with an envelope for mailing. 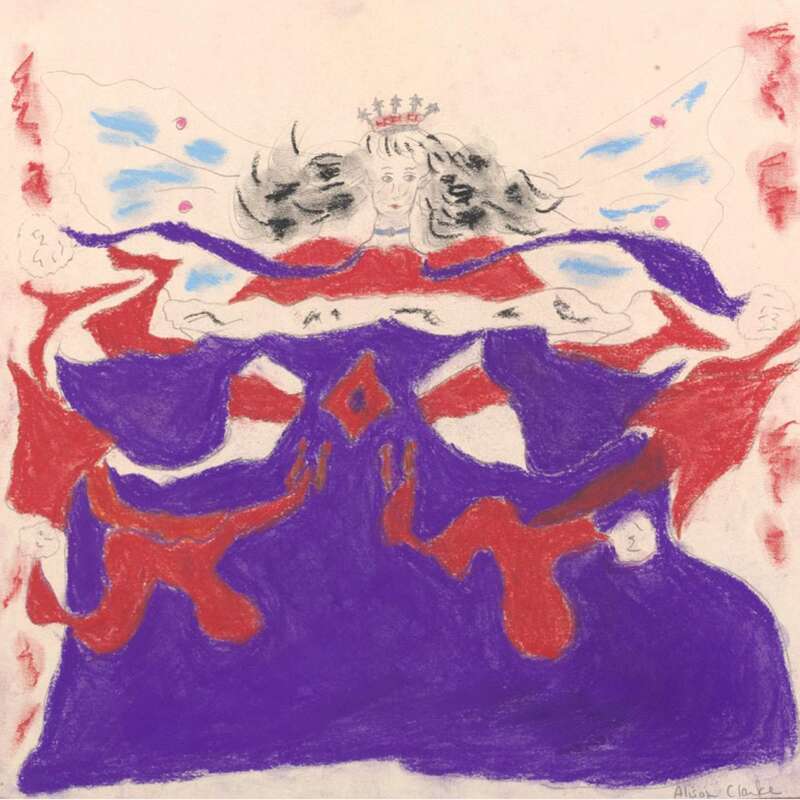 She is the queen fairy of the Leranian realm. Her sisters are tree fairies, and she has many selkies as cousins. As leader of this magical realm, she despises any suffering or pain experienced by her people. She is also sad, when she sees what happens in our world. She believes that the fairy world and our world are one and the same. One cannot exist without the other. She also believes that fairies can teach humans valuable lessons, and that humans can do the same for the mystical ones. 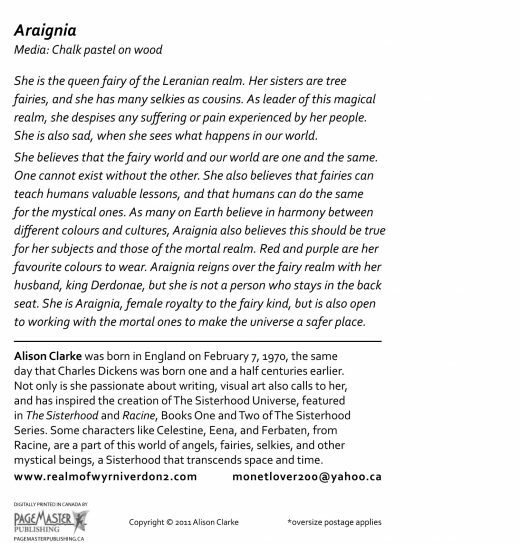 As many on Earth believe in harmony between different colours and cultures, Araignia also believes this should be true for her subjects and those of the mortal realm. Red and purple are her favourite colours to wear. Araignia reigns over the fairy realm with her husband, king Derdonae, but she is not a person who stays in the back seat. She is Araignia, female royalty to the fairy kind, but is also open to working with the mortal ones to make the universe a safer place.